The Glen Club is one of America’s foremost golf courses, but it is also a whole lot more. The Glen Club is the perfect place to hold your next event—and can even host your guests in their hotel! 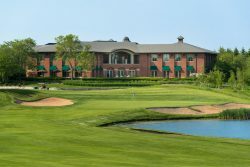 The golf course at The Glen Club is one of its primary features, and was designed by the renowned golf architect Tom Fazio. This fantastic course has been written up in multiple publications, including: Golf Magazine, Golfweek, Chicago Golf and more. If you have a special event coming up that needs to be planned, make sure to take The Glen Club under consideration. Different areas are available for parties of varying sizes, including The Grand Ballroom, which can accommodate 50-250 guests. The Glen Club has hosted a variety of different events, including: baby showers, private parties, graduation parties, weddings and more. Come by The Glen Club for one of the best golfing experiences of your life. Booking Howl2GO Dueling Pianos’ world class show to your Glenview, IL event couldn’t be simpler. From conventions to corporate events, weddings to fundraisers, our unbeatable Dueling Piano shows bring a high energy, interactive show that your guests will remember for years to come anywhere in Illinois!